Here go the cat-related news for this past week..
Last week witnessed a major environmental catastrophe strike a critical habitat of the endangered bengal tigers. Cyclone Aila - a tropical storm that struck eastern India and southern Bangladesh is feared to have caused significant damage to the mangrove forests of Sunderban, one of the last bastions of truly wild tigers in the world. Over a dozen tigers and numerous herbivores are thought to have been swept away by the cyclone winds of up to 75 mph. Over two million people were also affected by this tragedy, with reports of significant damage to the life and property of many of the poor dwellers of Sunderban. While water level in the forest has now dropped considerably from the initial twenty feet reported at the time of the cyclone, the extent of damage is still not clear with doubts being raised on the number of tigers that were able to swim to higher grounds. Many of the tigers' drinking spots have been flooded with saline water and lots of prey animals are thought to have been lost, raising prospects of straying of tigers into human habitats for their survival. In one incident a tiger swam into a village where it was later tranquilized and safely relocated. Let's hope for the best for the people and wildlife of Sunderban in these tragic times. More here, here and here. There is also some good news for the striped cats this week. The Indian state of Madhya Pradesh recently got close to ten million Indian rupees (over two hundred thousand US dollars) to help it in its efforts to combat poaching and conserve tigers. Madhya Pradesh is also close to raising a special tiger protection force to patrol its forests and guard the tigers. More on these positive developments here and here. Meanwhile in Malaysia officers arrested two people over charges of smuggling, and seized five skins of Malayan tigers from their possession. Malayan tigers are amongst the most endangered of the tiger subspecies, with only a few hundred individuals remaining in the wild. More on this here. In other news, two people were killed this past week when they came in contact with tigers in captivity. In the first incident a man committed suicide by jumping into a tiger enclosure in Næstved Zoo in Denmark. In the other case a keeper was mauled by a white tiger at Zion Wildlife Gardens in New Zealand. Unfortunately both the employee and the tiger lost their lives in the latter incident. More on the above two here and here. Zion Wildlife Park is already under controversy over reports of animal abuse and an ensuing legal battle of custody between 'Lion Man' Craig Busch and his mother Patricia Busch. Recently reports have emerged that, if true, point to horrible acts of cruelty towards animals on part of Mr Busch. These include, but are not limited to, declawing of the big cats at the park and killing of the cubs. To read more about this and how the animals at Zion suffered for commercial gain of man, go here, here and here. To lions now. Whereas one lion was unfortunately lost in Kenya's Masai Mara the news otherwise is good for the king of beasts. The unfortunate lion was apparently poisoned by villagers over alleged killing of their cattle. Quite a regrettable occurrence. More here. The population of Asiatic Lions is on the rise in Bhavnagar, Junagadh, India. The number of lions has almost doubled there recently, from fourteen to twenty five individuals, and the forest department is considering the declaration of this area as a conservancy. The presence of this pocket of lions, nearly a hundred kilometres away from their original home in Gir, gives an indication of how far the adaptable big cats are venturing out of the forest to establish new homes as their population rises in the limited Gir forest. More on this here. Meanwhile in Gir, an individual was arrested at a check post when he was found wearing a necklace of claws. The claws, that could belong to a lion or a leopard, have been sent for forensic analysis while investigations are underway with the person apprehended. A lucky break that could unveil some poachers. In another 'lucky break' in Gir, a man was able to survive an attack by two lions who were attempting to carry him away. According to details the villager was asleep in his hut when two male lions showed up and began to drag him from his bed by his leg. Fortunately his family members woke up and their cries scared the lions away. Apart from minor injuries the man survived largely unscathed. So did his two young children who were sleeping on the same bed with him! Full report of the above two incidents here and here. Fascinating subject. I am most impressed by the job you've done and how your blog has transformed. Very impressive. I get so depressed when I read about people killing tigers for their meat and skin. I'd make people who buy the stuff get jailed for 10 years. that would make them think twice@! I hope that there are many more cat lovers out there advocating for all cats large and small. Great post and thank you for stopping and commenting at my blog. It is sad how there is such little respect by some for other animals of the earth. My eleven year old is working on a foster and adoption program for kittens -- we have fostered for the Humane Society for years but she would like to venture out on her own! Our momma alwayz findz it remarkable dat 'beanz haz no concept of "when its gone, it's gone" and just purr-sue their own interests. We iz purr-ayin' fur alla' da livin' creaturez in da world dat are purr-secuted. Great post, awareness is a good thing, gives the idea of change some hope, I'm hoping! Very informative post. I hate to hear of the poaching and I wonder WHY is it even appealing? Who are the individuals who purchase the skins? When are you going to come visit EFBC?!! Such an awful way to commit suicide and to possibly cause harm to the cat at the same time is just wrong! So much bad news but also good news to be had about the gorgeous cats of the world. We need to poach all of those poachers! Poachers should be ashamed of themselves. They really should. As for the villager that escaped certain death. Yikes, I think I would have died of a heart attack. Wow. I'm such a big fan of big cats like this. It hurts so much to see all the hurt caused by humans to these beautiful creatures. Thank you so much for sharing this with us. Hopefully the word will spread and the poaching will drastically decline before we wipe these beautiful cats out completely. This completely breaks my heart to read about the cyclone damage. I love cats...big cats, little cats....everything about them. Informative post. I appreciated you posting such a vivid account. Gosh I think you ahve been just as busy Omer. All this news. Sooo sorry about the tigers losing their habitat to the cyclone like that. I hope everything can be recovered and the tigers saved. Poachers should be poached I like what Tristan & Crikey had to say there. Thank you for bringing to light my exposure of the declawings at Zion Wildlife Gardens. It should never have happened nor should have a man died because safety at Zion was not followed. Very very sad Abu & Dalu aren't with us anymore. I'm actually still reading all the links to the news you have here. Glad that in the midst of so much bad news we have a good as this! I hadn't heard about the cyclone - how awful that happened. And as for poaching, it's the most senseless thing ever and I hope one day it's abolished. These amazing animals are so precious and have such a hard living in these times. I am glad to hear that there is help for the lions. First of all thanks for the visit..
Showed the tiger pics to my daughter and she asked "Who owns it?" hehehe.. Thanks for this informative post! So much news and so well reported as usual dear Omer! Where to start... Craig Busch. I loved the TV progammes, he seemed to love the cats and they seemed to love him. If that's wrong, I wonder how many hours the programme makers must have spent to get the footage of what seemed like mutual love and respect. Very confusing in light of what's been revealed since! oh wow!!! these are fantastic creatures! We wish those lovely cats could just live the way they were meant to!! We also hope offenders start getting stiffer punishment!! My God, I can't imagine being so full of despair as to break into a tiger enclosure and deliberately provoke them into attack. I read the article and apparently he was diagnosed with a mental illness. That's really sad. 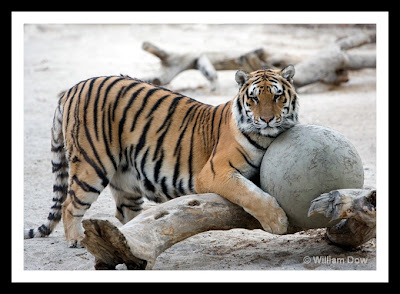 I do hope the surviving tigers in Bangladesh are captured and relocated without harm to either man or beast. Yes, Sunderbans has faced one of the worst disaster. Entire wildlife habitat in the area has been disturbed. It is good to some good news in other areas. i'm glad you dropped by my blog as now i know what an interesting blog you have. kudos! Poor tigers, i am so sad at their decline. I hope to donate money to help them. I'm so impressed with the wealth of knowledge you provide! these are beautiful pics and interesting (yet sad) facts. Thanks for sharing, AND thanks for stoppin by my blog, i will be back for sure!! Wow your blog is so informative! Its great you're keeping on top of big cat conservation. This is an issue I am very passionate about. It always concerns me how people are dealing with endangered animals that exist in a place close to humans who live in poverty, where survival is most important for both species. I'm really surprised about the things happening at the Zion Zoo! I remember seeing a doco about the "Lion Man" and his apparent love for big cats, but your articles show that not all is at seems. Such mistreatment is disgusting and unforgivable. What a completely cool blog you have! Very interesting. BTW, thanks for your visit to God Nuggets. What a beautiful blog! I love Big Cats. They are so majestic. My favourite at a visit to the zoo. We need to safe these animals from our greediness. Thanks for comment.. Your blog is a good Feline Encyclopedia:) GOOD! Really neat blog. Thanks for visiting our dog pack. It's great to see that someone is so passionate about preserving these beautiful creatures. very interesting topic and enjoyed reading your post. sad to hear about the killing. thank you for sharing ^_^ have a great day. You always have such innaresting news. We are so sad to hear about the damage Cyclone Aila did to Sunderban. Poor tigers! They and efurryone who lives there will be in our thoughts and purrayers. And we are glad to read the good newsies about tigers in Madhya Pradesh. We hope you have a great week! Lots of kittyhugs and purrs from MaoMao and alla the Ballicai. Thank you for visiting and leaving a comment on my blog! I love your site. You're extremely knowledgeable and thorough! Thanks so much for sharing with the rest of us! I look forward to your upcoming posts. I love your passion for cats. Thanks for sharing these pieces of information to us. ..and a cyclone too! Animals under threat from nature and humans - unfairness seems to rule the world these days. Thanks for dropping by Everycat Omer and thank you for highlighting (via Madbush Farm's posts) the plight of the big cats bought, bred and mutilated by Craig Busch. In my opinion this man is an utter charlatan, he should not be purposefully breeding that white gene in animals - in the wild albino is rare for two big reasons - predators find white animals more easily and these animals are prone to some terrible disabling and lethal genetic defects. The declawing and other abuse charges are just icing on the cake. Whoops! Got here before your update! Visit me when you're done? Thanks so much for dropping by to read my "Trimming the Bush" post. It was good to see you. I love cats too. 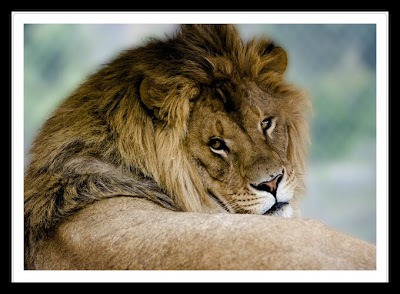 The lion is so beautiful. Thank you for such an informative post, Omer. It is really sad that the tigers have to suffer with a cyclone on top of everything else. I hope that no more of them are killed because they wander into villages looking for food or water. That Craig Busch sounds like a really nasty piece of work. At least there is some good news about the lions making a comeback. Gosh cyclone Aila was brutal. People and animals alike suffering. This whole climate thing has gone wild. Such bad news then some good news about tigers. Although poaching is a serious crime. Sounds like they are trying to keep it under control though. Really loved the picture of the tiger, it was beautiful. What a cute site! I love it! Make sure to check our blog Monday June 22 as we will Dare you again for the fifth time now!!! !